Will the impact of Coconuts Musume ever stop? 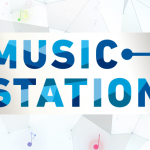 Music giant Avex has decided to create their very own multicultural group. 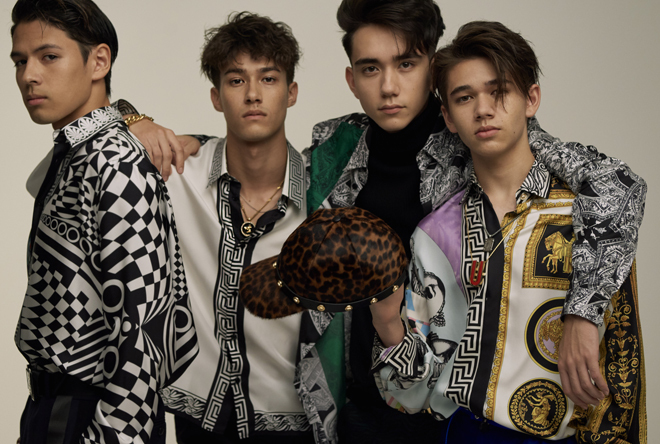 INTERSECTION a 4 piece group consisting of 4 boys who are all bilingual in English and Japanese, with all of them having Japanese ancestry but were born outside of the country. The groups beginnings date back to when members Mika and Kazuma met at an international school in Tokyo. The group has ties to avex, but they aren’t under one of their primary labels such as avex trax or rhythm zone. INTERSECTION is under their own subsidiary called “The Whole Earth Connection”, and they seem to be the only artist affiliated with that label thus far. 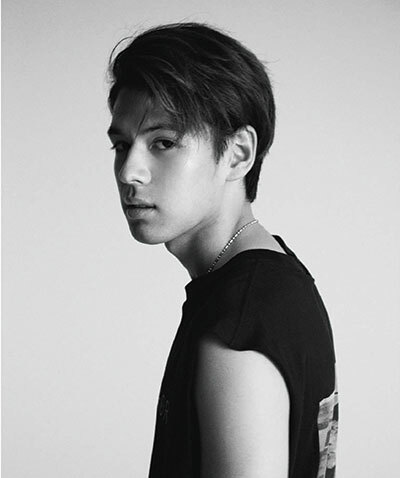 Mika is the groups leader, he was born in Hawaii on December 21st, 1998. Originally aiming to be a professional soccer player, he stayed in Hawaii until he was 16 years old. He’s described as having a very gentle and caring personality, perfect traits for a group leader. As a child he had a strong background in music, playing both the violin and ukulele. A part from music, his primary hobbies consist of surfing, photography, and skateboarding. William was born in California on May 19th, 2000. He came to Japan when he was 2 years old. Having a strong background in swimming, William was actually training for the junior Olympics swimming team. At around age 14 he began to show a deep interest in arts, and decided to make that his main focus. William is he main vocalist of the group, and also helps with song composition. Kazuma was born in New York on May 15th, 2000. He lived in New York upper east side until he was 8 years old, then relocated to Japan. He is trained to play both the flute and saxophone, he was inspired to do this after hearing the songs on Disney’s “The Little Mermaid”. 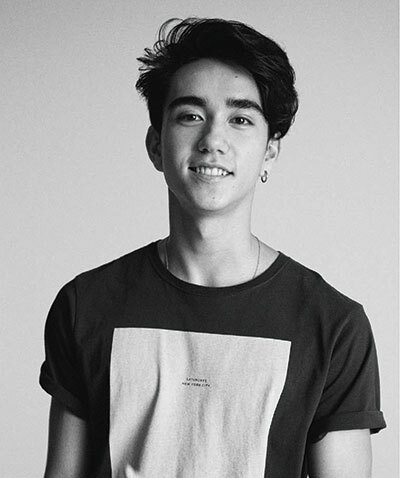 Kazuma is also an exclusive model for the popular fashion magazine MEN’S NON-NO, he was awarded the semi-Grand Prix prize at an open audition last year. He is also attending Harvard University! Caelan was born on a military base in Cuba on April 12th, 2001. Since his Irish American father works in the military, as a child he moved around quite a bit experiencing different cultures. Growing up he’s lived in Virginia Beach, Hawaii, Spain, and Japan. As the baby of the group, Caelan is the “mood maker” always making everyone laugh. 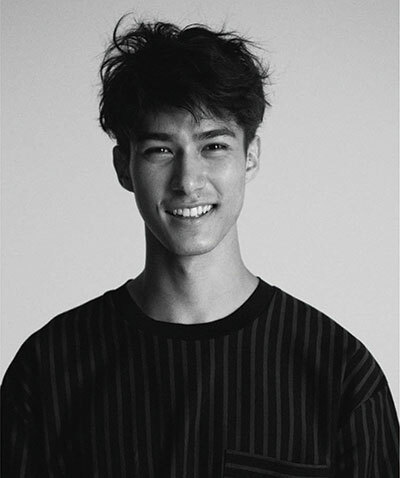 Since he grew up exposed to so many different cultures, he has a very varied taste in both music and interests. INTERSECTION released their debut digital single “Heart of Gold” on October 5th. It’s available worldwide for both purchase and streaming on all your favorite services including Apple Music and Spotify.